I probably didn't have my glasses on, and I like lilac so would have lifted this in my shopping rush based on its colour more than anything. I can only assume it was possibly conceived as one of the tasks on The Apprentice or some similar show. You know, where they stick half a dozen enthusiastic but inexperienced people in a room and tell them to come up with a new fragrance, or a new shampoo, or the likes. Well, let me assure you, where lavender works well, rosemary most definitely doesn't! 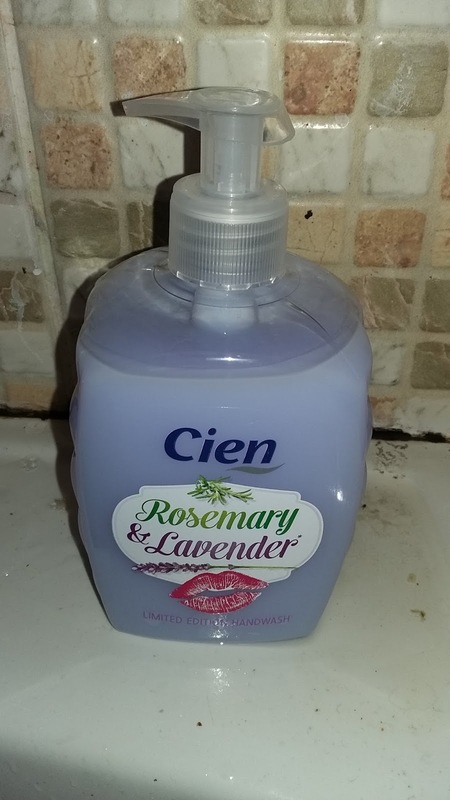 When you've just washed your hands, a overwhelming scent of rosemary is beyond appalling. You quickly develop a feeling greasiness, like you've been stuffing a leg of lamb for Sunday dinner. In fact, you smell like you need to wash your hands! You wouldn't use garlic or lovage in a hand soap, and I'm not sure rosemary isn't in the same category! As for using it to wash any other part of your body, I can't even imagine what experiences that could conjure up! The lipstick kiss on the bottle makes me shiver at the very thought!